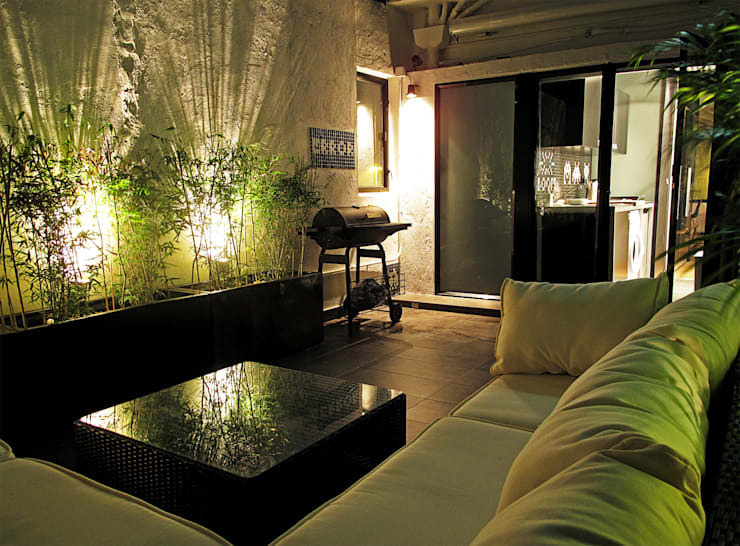 A rooftop entertaining area is an incredibly precious thing in Hong Kong. Most of the year the weather will be warm enough to enjoy it, and it will provide a much needed link with the outside world. Of course, unless you live on the outlying islands, it will almost always be surrounded by sky-high buildings. This isn't necessarily a bad thing however. The buildings will provide some barrier from strong gusts and it might even provide a great city backdrop for your evening soirees. 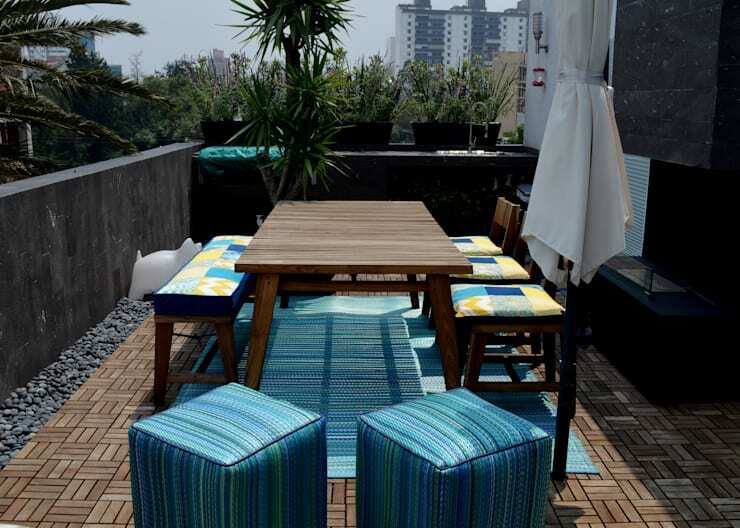 So how do you go about making the most of your Hong Kong rooftop or terrace? Well, here at homify we have lots of ideas to get you started. So let's get going with 11 ideas for your Hong Kong rooftop. This Hong Kong home has a great little private courtyard. The space has been simply furnished and has a great deal of sophisticated. The secret to its success lies in the strong lights hidden within the simple bamboo plants. Outdoor furniture has to endure a huge amount of wear and tear. For a start, fabrics should always be weather and stain resistant. If you don't feel comfortable leaving furniture outside year round, invest in some huge colourful outdoor cushions. They create a sense of abundance without the accompanying hassle. There is nothing worse than a cluttered rooftop. Chances are that you don't have a whole lot of space to store items inside anyway. Bench style seating like this is an obvious solution. It serves as a comfortable seat and had store space underneath as well. 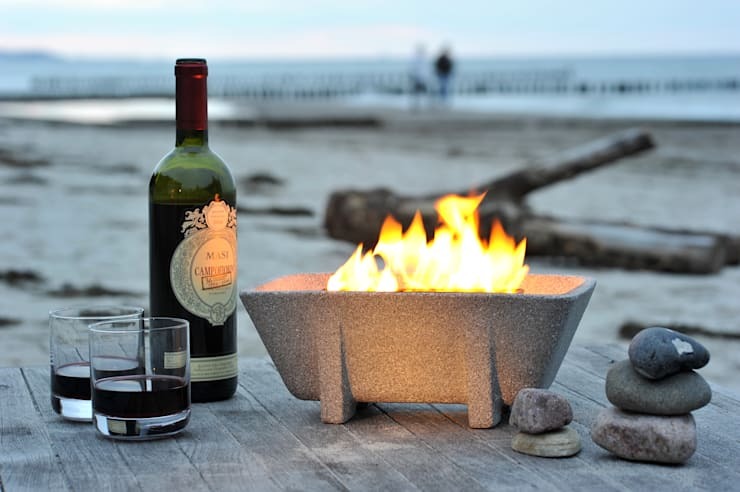 A little portable fire is a great, low maintenance accessory for the rooftop. It's easy to clean and easy to maintain. It could even be stored indoors if needed. 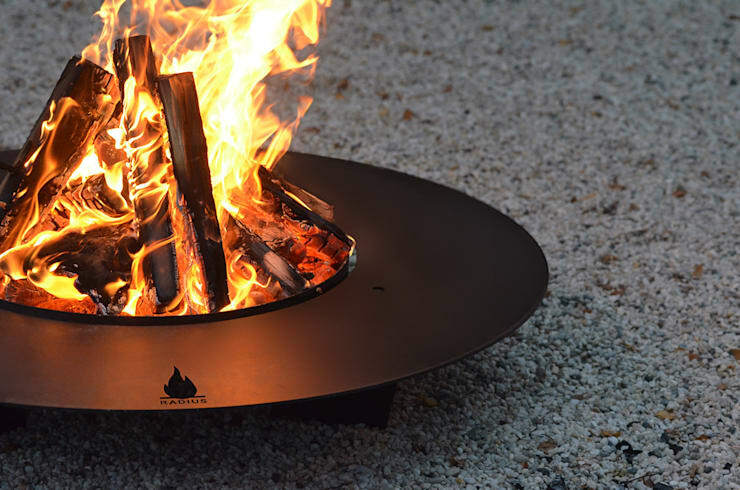 Pit fires are the latest must-have accessory for the rooftop. The good thing about a pit fire is that it creates a focus for your social interactions. It might also be used for some casual grilling too. Chances are that your rooftop has more wall space than floor space. The obvious solution is to build up the walls. 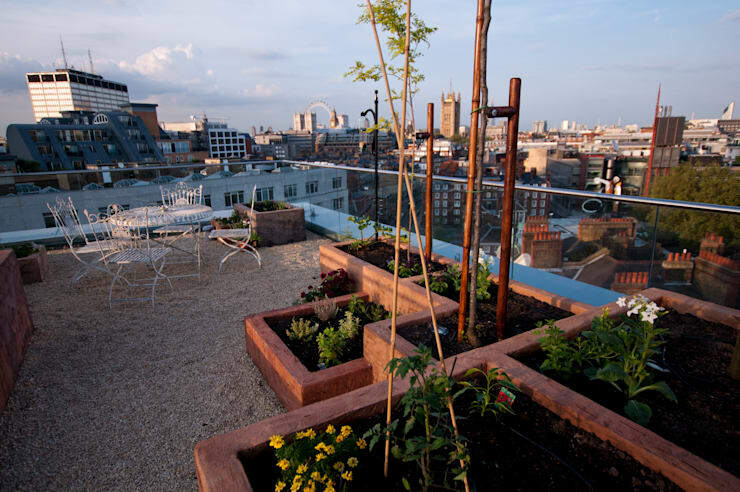 This rooftop design takes things a step further by incorporating a little vege garden. It's the perfect antidote to the strain of living in a big city! Wooden tiles add a lovely nature touch to any urban rooftop. They are particularly effective in a big cosmopolitan city like Hong Kong where there's a dearth of nature. They can get a little problematic when it comes to drainage points however. A good solution is a border of grey stones. It adds a nice sophisticated touch too. Nothing quite beats the stress of work like a change of scenery. 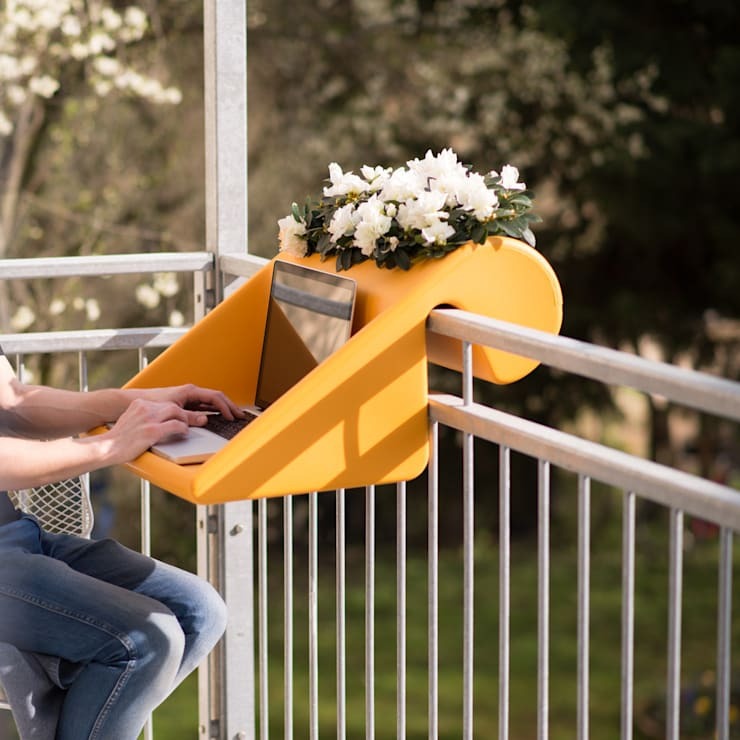 So perhaps you could install a simple portable balcony mounted desk space like this. It might help you create the perfect way to end your workday. A soft green lawn is a beautiful thing to feel underneath your feet. 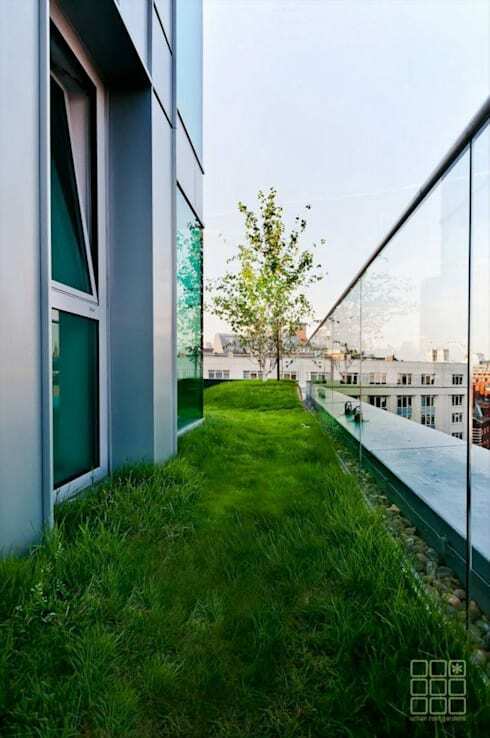 As we can see here, a rooftop lawn can thrive in the most densely congested urban environments as well. Before considering something like this, you'll need to consider your drainage points and the weight of the soil on the roof. This little rooftop entertaining space incorporates a good sturdy bench and some nice greenery. 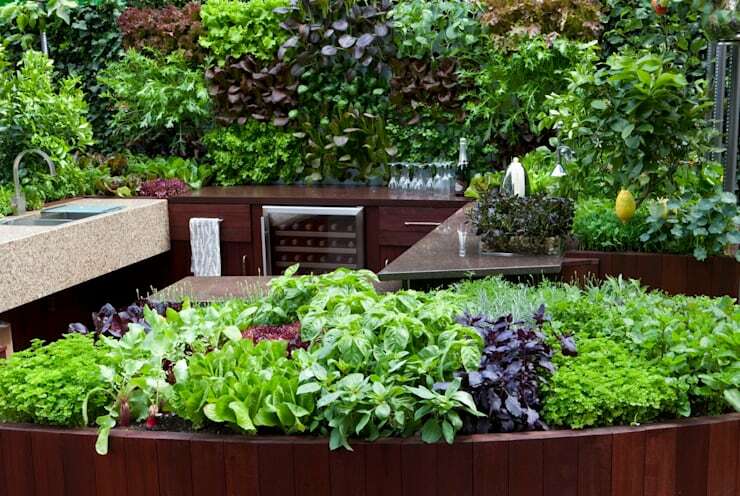 The secret here is the raised garden beds. They barely take up any space, but add a lovely private feel to the area. The garden beds here are quite exposed to the elements. However, this isn't a problem because the plants are quite small and low. The most appealing thing about this rooftop garden design is the multilevel layout of the garden boxes and the slightly random design. It gives this otherwise bare rooftop a varying, natural quality. For more outdoor entertaining ideas, have a look at 6 easy ways to shape your garden. Do you have any more tips specific to life in Hong Kong?